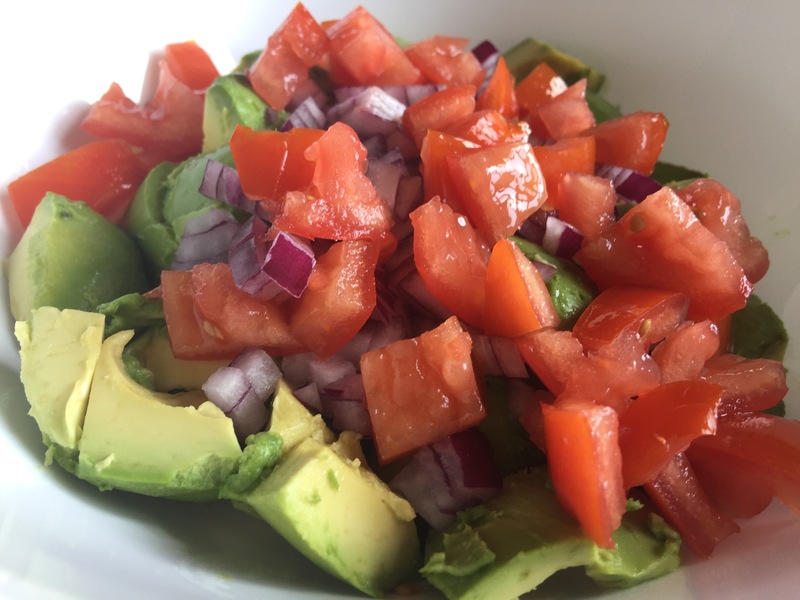 This is a simple, yet delicious, avocado salad that is packed with nutrition and only requires five ingredients. 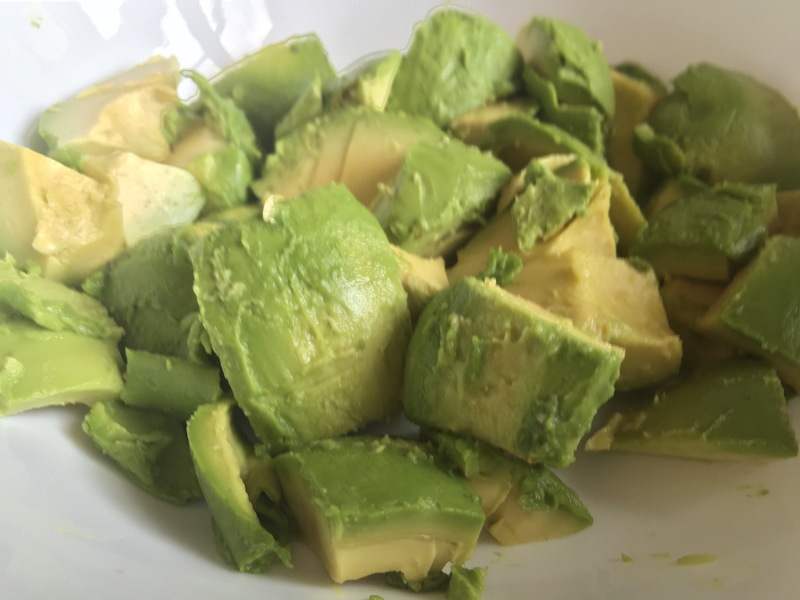 Rich in healthy omega 3, fiber, and other key vitamins and minerals (including more potassium per gram than bananas), I feel good about serving avocado dishes to my family. It is it not unusual for our dinner to consist of an avocado cut in half with extra virgin olive oil, lemon juice, salt and pepper. 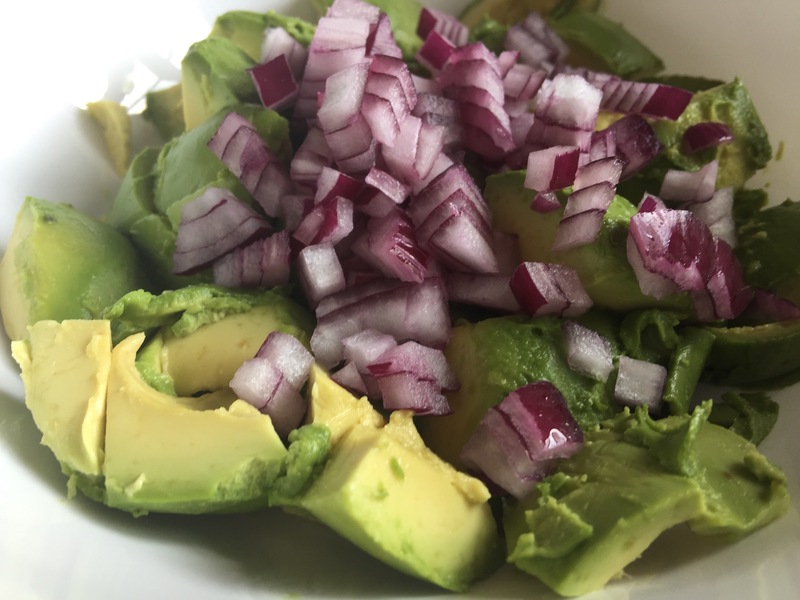 We also adore avocados with poppy seed dressing and we go loco for a great guacamole (I plan to post recipes for those in the near future). Basically, I can’t go wrong with an avocado in my house. 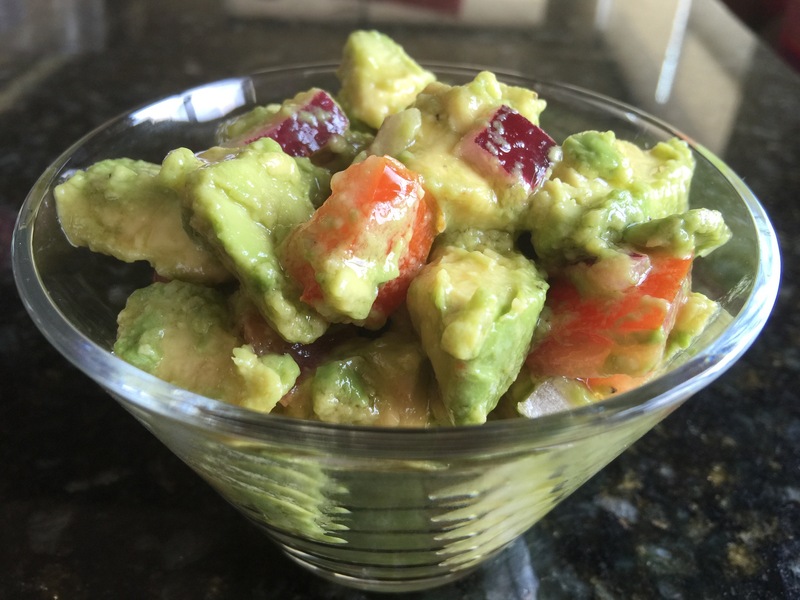 The inspiration for this Avocado Salad dish came from my time working as a food server at Furr’s and Luby’s cafeterias in Texas as a teenager. I don’t know if it is the same today, but back then it was the golden age for Texas cafeterias, in my opinion. I was amazed at how we cooked nearly one hundred different dishes a day. Literally, EVERYTHING (a multitude of salads, salad dressings, proteins, side dishes, breads, desserts and sauces) was made from scratch every single day and it was all utterly delicious. It has been thirty years since my cafeteria server days, but there are a few dishes that I still long for after all these years, and this is one of them. 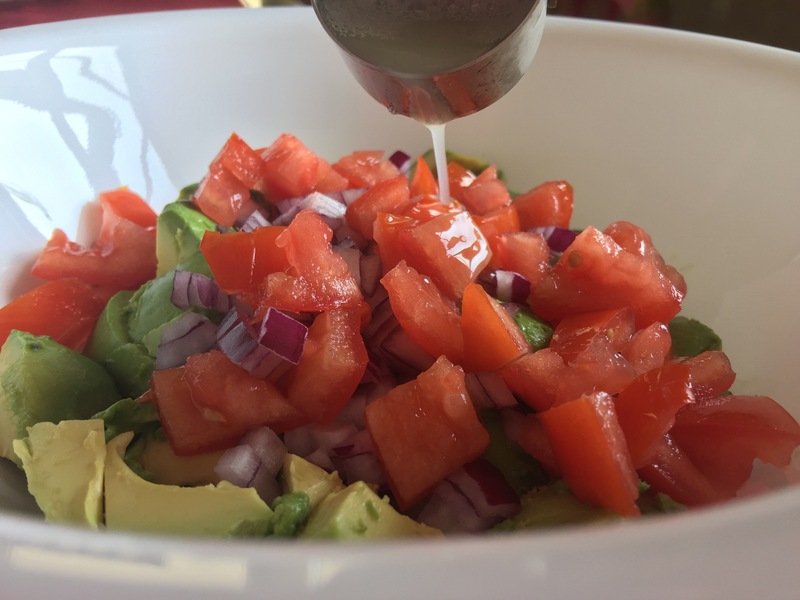 Avocado salad is particularly comforting on a hot summer day, so I thought I would make it to celebrate the approaching end of summer. This is not a guacamole. There are no spices, and it is not complex in flavor. I kept it real simple to allow the the main ingredients to shine. Sometimes simple is best. 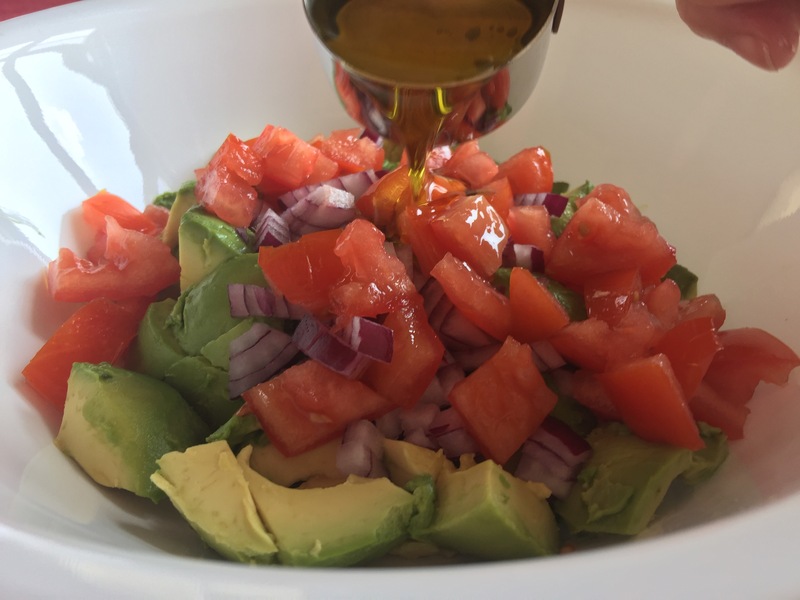 I added a bit of a Mediterranean twist with a little extra virgin olive oil and lemon to amp up the flavor and pack in even more nutrition. My seven year old daughter Bella (who is my sous chef and official taste tester) was delighted when she got to lick the mixing bowl clean. I hope you and yours enjoy this as much as we do! 2 large ripe avocados (I recommend Hass avocados from Mexico). The ripeness of the avocado is the key to this dish. The avocados must be perfectly ripe and buttery. 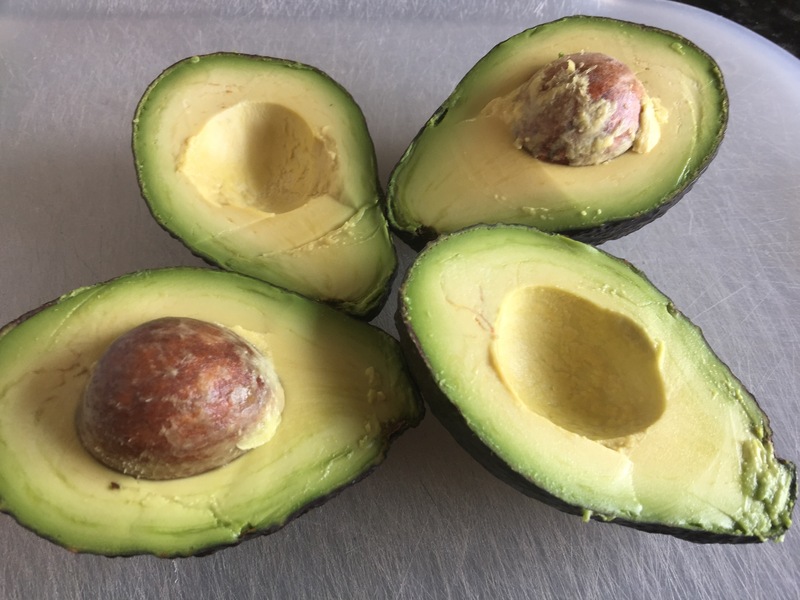 If your avocados are hard when you squeeze them, they are not ripe yet and you should wait a day or two till they ripen. 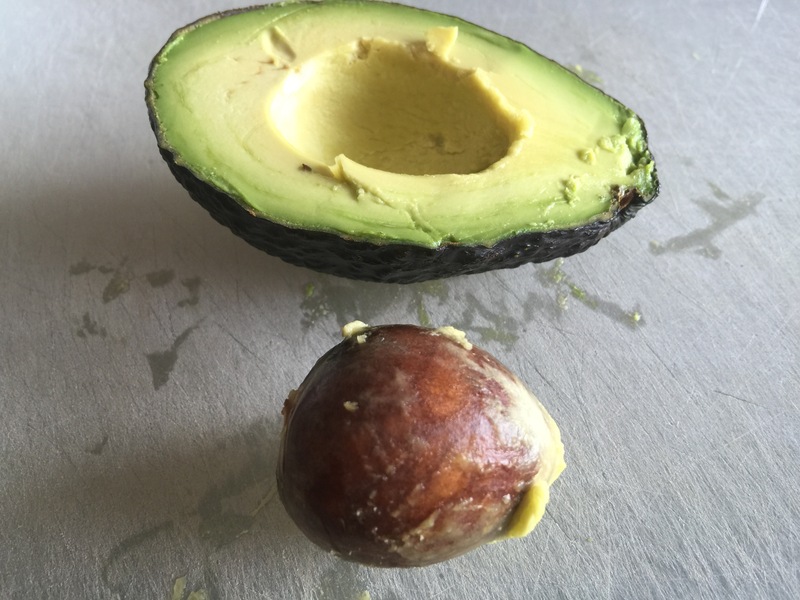 If the avocados cave in when squeezed, or are brown inside, they are too ripe and should be discarded. 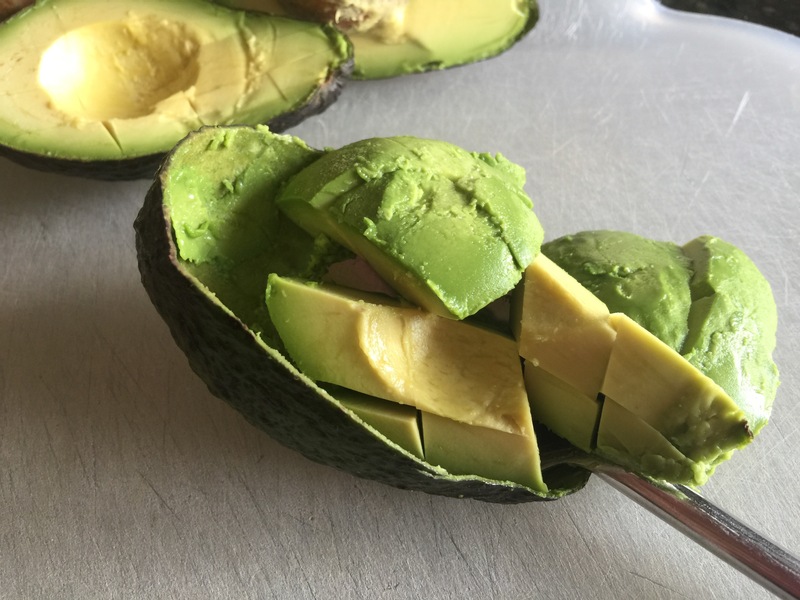 Cut the avocados in half lengthwise. Remove the pits. No fancy tricks needed, just use your fingers to fish them out. 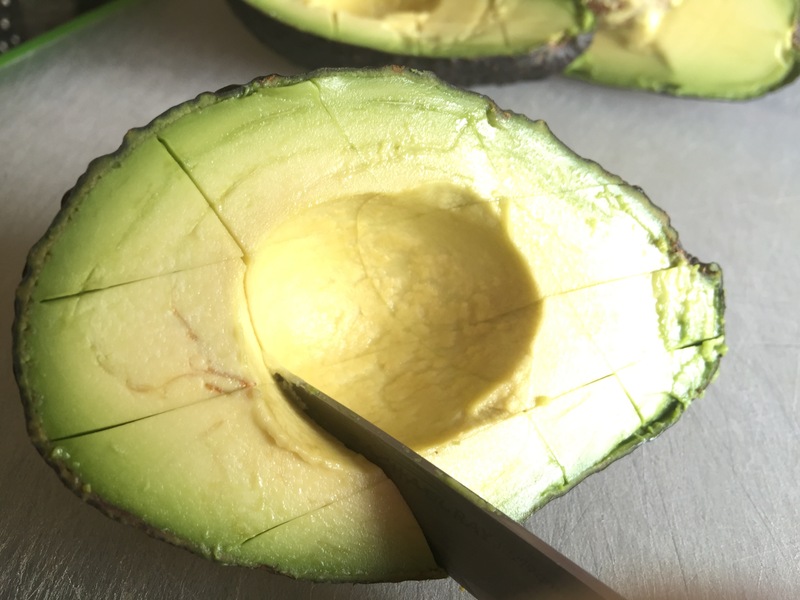 Cut a crosshatch pattern into each side of the avocado for bite size chunks. Use a spoon to scoop the avocado chunks out. Place the avocado chunks into a mixing bowl. 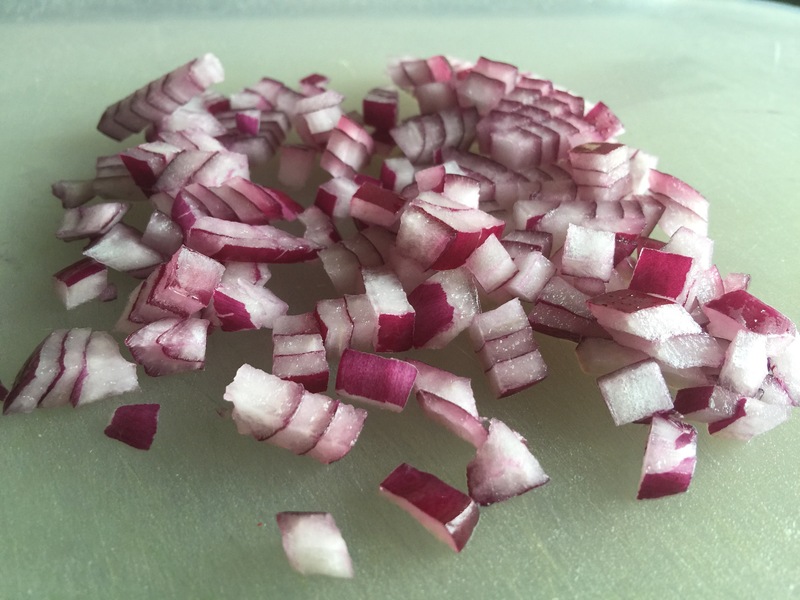 Dice one half of a small to medium red onion on a vegetable cutting board. Add the diced onion to the avocado chunks. 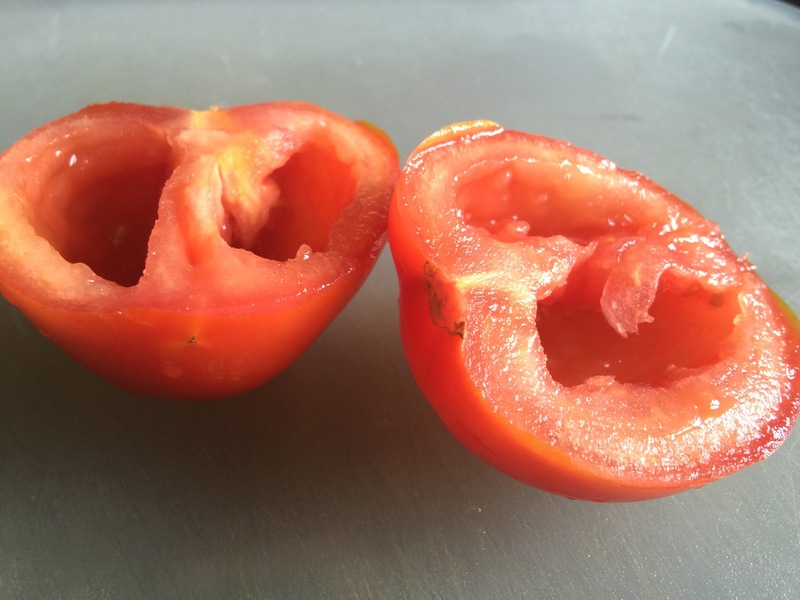 Cut the tomato in half and scoop out and discard the seeds. 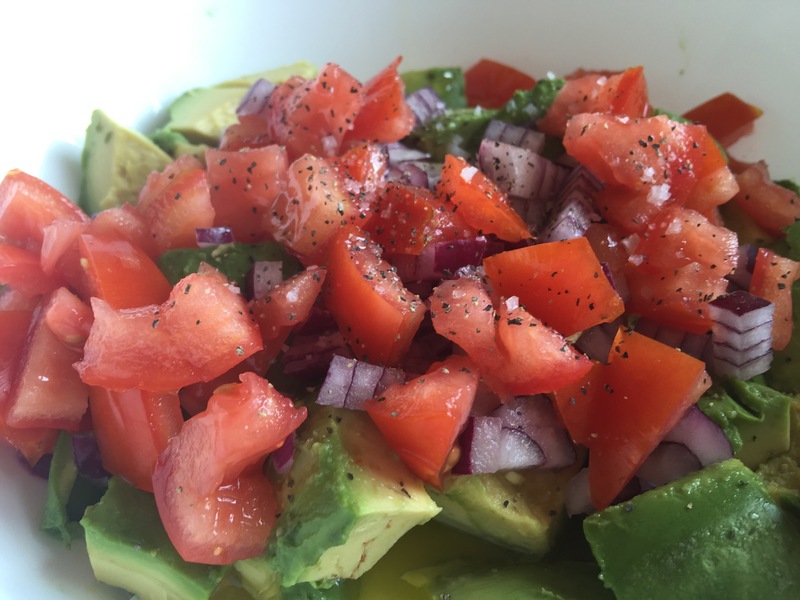 Add the chopped tomato to the avocado and onions. Add 1/8 cup lemon juice. Add 1/4 cup extra virgin olive oil. Add a pinch of salt and a pinch of ground black pepper. Lightly stir and place into cute individual serving dishes. Serve alongside your favorite meal or all on its own as a delicious and nutritious snack. I love avocado! We too have a half of avocado as a salad some nights. 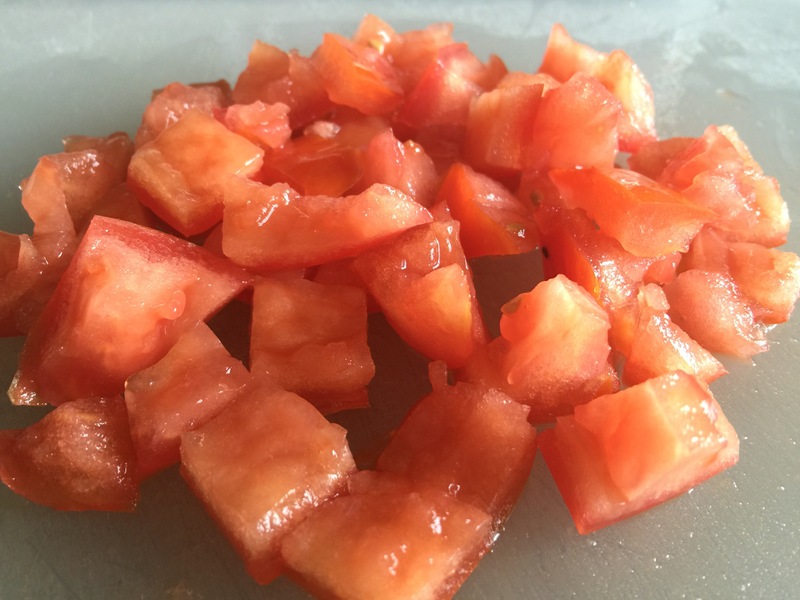 For my family I think I will cut a small amount of cucumber to give it some crunch.